CRIOTEC is a French limited liability company with capital of € 50,000, whose Head Office is based in Hyères Les Palmiers, in the south of France. 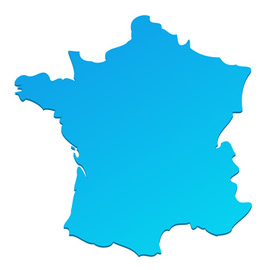 The Company was founded in November 2005 in Paris, by Jean François GIRL, Refrigeration Engineer, graduate of the French Institute of Industrial Refrigeration of Paris CNAM. At present, two other partners joined CRIOTEC in 2009, Laurent Fille, holds a Master of Finance from the University of Paris IX Dauphine, current Manager of CRIOTEC, and former Director of the first private center of Whole body Cryotherapy in France, and Thierry LOTTER, Osteopath OF Marseille and former Head of Operations of the Institute of Whole Body Cryotherapy Toulon Provence Méditerranée (ICCE / TPM) for April 2010 to March 2013. Currently the center has been transferred to Cryotherapy Aix en Provence under the responsibility of a new team within the Company Le3CE (www.le3ce.com) since September 2013. 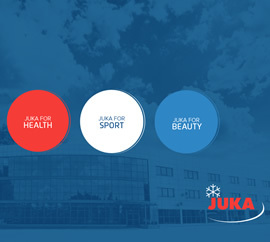 CRIOTEC's priority vocation marketing, installation and maintenance in France Original Polish Cryotherapy booths, using Liquid Nitrogen as refrigerant, designed and produced by JUKA Company, a world leader in this field. The market for its cabins is currently booming in the US, including the physical preparation of basketball players playing NBA level. In England they are particularly used for the physical preparation and recovery of rugby. Poland and the rest of Eastern Europe they are mainly used in the centers Wellness and Fitness training (Hotel SPA), as well as in hospitals. JUKA booths are three types to date. - A first model single, called Cryosauna * in France (or Kriosauna * Poland) allows treatment of up to -150 degrees Celsius. - Two other models, called Cryochambres in France (or Kriokomora Poland) correspond to collective cryotherapy cabins for 2/3 persons, or cryotherapy Collective booths for 4/5 persons as appropriate, and consist of a main cold chamber between -120 and -130 degrees Celsius, up to -150 degrees Celsius, and a smaller enclosure pre-cooling of patients for a short time between - 50 and -60 degrees Celsius. 1 Private Cryotherapy Corps Operational Centre Integer in France with the creation of the ICCE / TPM CRIOTEC is by far the French private company the oldest and the most specialized in this area through the acquisition of unparalleled experience Currently both in operating its own equipment in the installation Turnkey and maintenance of these throughout France. CRIOTEC can be considered the first and the oldest French private company totally oriented introduction and development of Whole Body Cryotherapy in our country, with its first Cryosauna * imported in France in January 2006 for a pilot plant Reference to the Rugby Club Toulon (RCT) in Toulon under the supervision of Aubin Hueber (February / April 2006). Note on ICCE / TPM: During the period 2010/2013 CRIOTEC managed for 3 years a center of Cryotherapy called "Whole Body Cryotherapy Institute" (ICCE / TPM), Seyne Sur Mer has through which he has developed real experience in both the medical field and in that of the integrated management of such a center. The facilities of this center consisted among others in a Cryocabine 2/3 persons and individual Cryosauna *. - In 2011, it was more than 1,000 sessions of cryotherapy, which were exempted during the annual period.